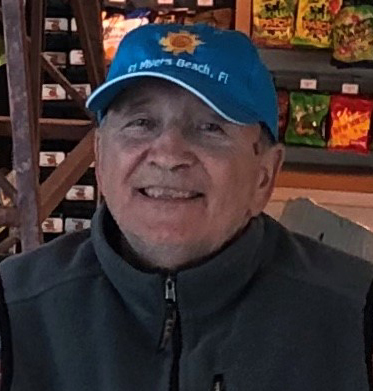 Roger N. Provencher of Saco went home to be with The Lord on February 1, 2019. Son of Dennis & Aline Moulin Provencher (both deceased), survived by wife Beverly Roy Provencher of 28 years, sons Bryan J. Provencher of OOB and Kevin S. Houde of Dayton with his wife Meghan Gorham Houde, and daughter Tonya A. Houde Danehy. Three grandchildren Cameron Houde, Amelia Danehy & McKade Houde. Brother Richard R. Provencher of Biddeford, niece Odina Darling with her husband Scott and daughters Mariah, Samantha and Natalie. When service completed in 1969, Roger attended SMVTI and obtained his oil burner license with the State of Maine. At that time there were only a few oil burner technicians in the area. His “Can do” attitude allowed him to solve many difficult installation and repair problems. Roger continued his education obtaining his masters license & was certified to work on propane boilers and ultimately steam systems. Under his leadership he made sure all his employees kept current with their education, licensing & all that met his high standards. After the death of his father Dennis in 1989, Roger merged his business with Provencher Oil. Roger & his brother Richard operated and grew the business providing fuel oil and heating systems service. The company changed its name to Provencher Fuels when they added propane. Always wanting to keep current with new technologies, Roger and company service technicians attended training courses offered by their suppliers. He was very proud that he attended a number of classes offered by Dan Holohan called Dead Man’s Steam School. This school was started to address the needs of many older buildings in the Northeast still using steam heat. Roger enjoyed the challenge of working on steam boilers to ensure reliability and fuel efficiency. Three of Roger’s passions included deep-sea fishing, driving and traveling. Roger was a member of Saco Yacht Club for over 40 years. During the summer months Roger & his brother Richard operated a commercial tuna fishing business with their boat ProFish N’Sea. They caught their last tuna in the summer of 2017 weighing in at over 650 pounds. Known as Rodapro, Roger will be missed by his family, friends and customers. He was extremely proud that Jim Godbout Plumbing & Heating became the new owner of Provencher Fuels, knowing the shared values of providing exceptional customer service and cutting edge heating technology from a local family-owned business. The family requests that in lieu of flowers, donations be made in Roger’s memory to Biddeford Saco Rotary Club Fuel Assistance Program, P. O. Box 298, Saco, ME 04072. Roger always looked out for his customers in need and never wanted to see people suffer from the cold of Maine’s harsh winters. Calling hours will be at Hope Memorial Chapel in Biddeford from Wednesday, February 6th, 4pm-7pm. A celebration of life will take place Thursday, February 7th at 5:30pm at Hope Memorial Chapel, 480 Elm Street, Biddeford, ME.